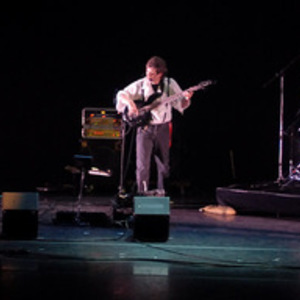 Formed in 1981, Nathan Mahl are a Canadian Progressive rock band with Jazz fusion elements. Throughout a constantly evolving lineup of possibly some of the finest rock and fusion musicians from the Ottawa and Gatineau regions, keyboardist Guy LeBlanc is widely regarded as the essence and constant of the band. Guy appears to be more widely known as the keyboardist for Progressive Rock Legends Camel from 2000 to 2003. Recording and touring resulted in a Nod and a Wink and The Paris Collection (Live). Guy appears to be more widely known as the keyboardist for Progressive Rock Legends Camel from 2000 to 2003. Recording and touring resulted in a Nod and a Wink and The Paris Collection (Live). They have released numerous concept-based CDs to critical acclaim, including Shadows Unbound, and the Heretik Trilogy. Furthermore, they have played several prestigious music festivals including NEARfest, and FMPM.